The European Commission has launched a ‘fitness check’ of the birds and habitats directives, which form the basis of British laws protecting wildlife. The results could be that high-profile animals which have proved troublesome for large and small scale developers in the past, like bats and great-crested newts, are no longer protected so vigorously. To try and stop this happening, 100 wildlife and conservation groups are launching a campaign to defend the directives. The Joint Links group, which includes the National Trust, RSPB and RSPCA, said the review of the directives was “the single biggest threat to UK and European nature and biodiversity in a generation”. 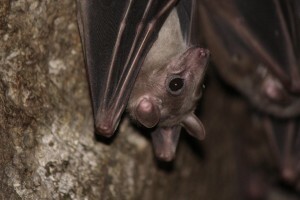 The habitats directive has recently been blamed for preventing churches controlling bats, which have damaged medieval wall paintings and sculptures, and made redevelopment difficult for everything from residents seeking to introduce a room-in-roof all the way up to large-scale mixed developments halted by unsatisfactory Environmental Assessments. Kate Jennings, the RSPB’s head of site conservation policy, said the birds directive had helped to prevent development damaging to wildlife, including plans to expand Southampton’s container port in an area used by black-tailed godwits and ringed plovers. With an evidently pro-business Government, unrestricted by the Lib Dems’ politically moderating influence and seeking to score victories in scaling back European influence wherever possible, it could well be that we see the end of protection for some of Britain’s best known species. That said, this could also unlock developments hitherto held up by the regulations. Long have there been calls for a hydro-electric barge across the Severn, for example, which have been halted by concerns for local wildlife. Without a regulatory grounding for those concerns, plans like the Severn Barrage, and others, might become a reality.